I’m sure most people my age (early 90’s kids) would tell you that Walt Disney created the first animated film. Some might go a step further and insist that the first animated film was Snow White and the Seven Dwarves. Well, now if you are ever having a conversation about this at a party you can rub it in everyone’s faces how wrong they are. 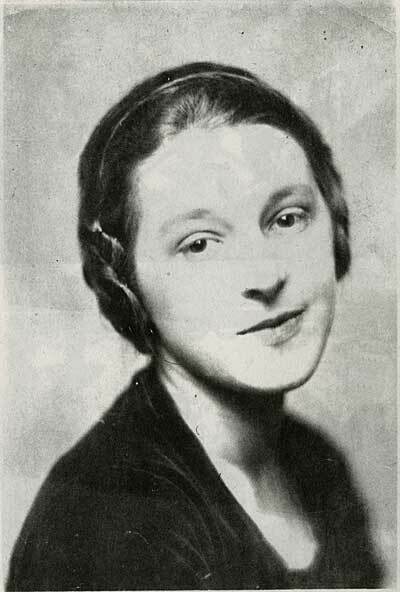 Lotte Reiniger made feature length animated films employing stop-motion techniques for the first time in animated film history and anticipating Walt Disney by more than 10 years. 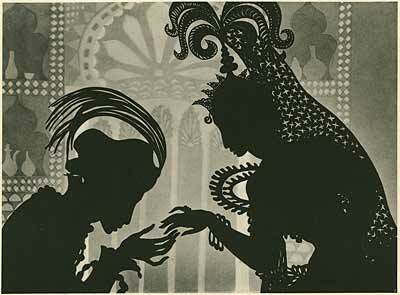 Reiniger was born in Berlin-Charlottenburg in 1899, and as a child was fascinated by shadow puppetry. She would build her own puppets and theaters to perform for her family. When cinema films rolled around she fell in love with them, particularly Georges Méliès for his special effects. Eventually, her paper silhouettes gained her entrance to the Institut für Kulturforschung (Institute for Cultural Research), an experimental animation and shortfilm studio. It was here that she met her future creative partner and husband (from 1921), Carl Koch. The first film Reiniger directed was Das Ornament des verliebten Herzens (The Ornament of the Enamoured Heart, 1919), a short piece that was very well received. 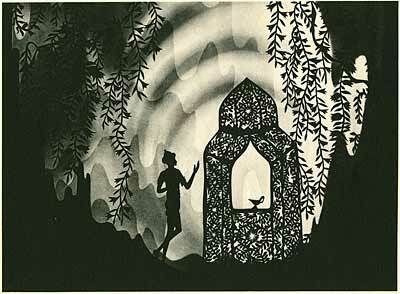 In the following years she animated six short films which eventually caught the attention of Louis Hagen, who had bought a large quantity of raw film stock as an investment to fight the spiraling inflation of the period, who asked her to do a feature length animated film, resulting in her most famous work Die Abenteuer des Prinzen Achmed (The Adventures of Prince Achmed). 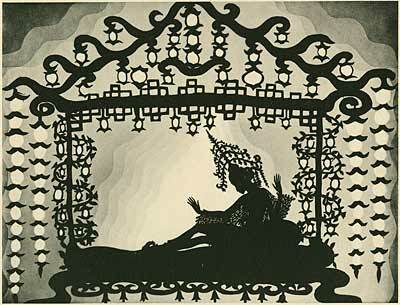 Prince Achmed was completed in 1926 and was created using intricate paper cutouts in the style of Wayang shadow puppets that she then shot frame by frame in order to make them move. The paper cutouts were jointed using wires and delicately arranged on top of a lightbox. The use of the light box also allowed her to change the colors of scenes, thus altering the mood and tempo of the plot, which worked in conjunction with the musical score emphasizing certain emotions. She helped develop the first multi-plane camera for certain effects. This technique utilized layers of glass under the camera allowing the animator to add depth and complexity to two-dimensional animation. Prominent among Reiniger’s talents was her ability to diminish the flatness and awkwardness of silhouette animation through her dramatic mise en scène and her balletic movements. Her female characters are especially lively and original, displaying wit, sensuousness, and self-awareness rarely found in animated cartoons. 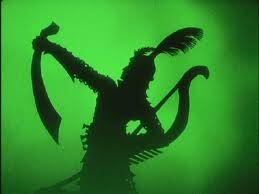 Reiniger continued to animate her distinctive silhouette films up into the mid-1970s. She passed away in 1981. To me what is most impressive about her work is that she accomplished so much with such a small team. At most there were only three people working on Achmed. The level of work that went it to the film makes it an amazing work of art, and I am glad I have discovered such a wonderful addition to my film history knowledge. I highly recommend you watch the clip. I believe the entire film is on YouTube as well.